The bain marie cold food tile is designed to fit both U.S. and gastronorm sized wells. 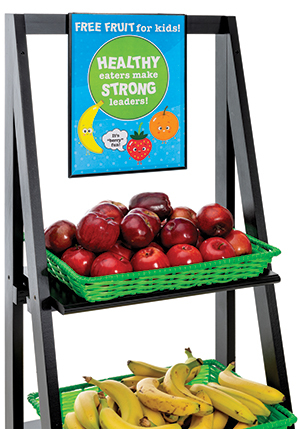 Each template has a black matte-finished melamine construction and will hold up to 8 bain maries at a time. 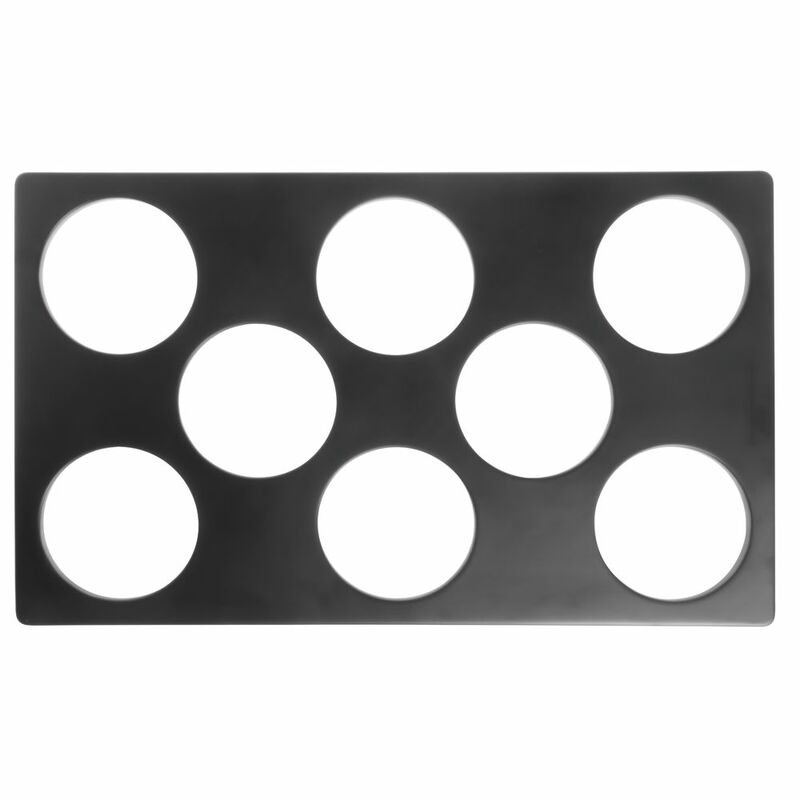 Additionally, this cold food tile only works with Vollrath® Miramar® contemporary pans and curvware pans, sold separately. Curveware condiment cylinder fits into colored cold templates, sold separately to hold dispensers in a cold food well. The side walls are perforated to allow air circulation and maintain temperature. This condiment cylinder is made of heavyweight melamine that is resistant to cracking, chipping and breaking. The template is precut to hold 6 bain marie in your cold well. The condiment cylinder has a stylish scalloped edge that is revealed when placed in template.